Our range provides secure, reliable protection in harsh climatic and environmental conditions. Upto IP66 protection against dust & driving rain. 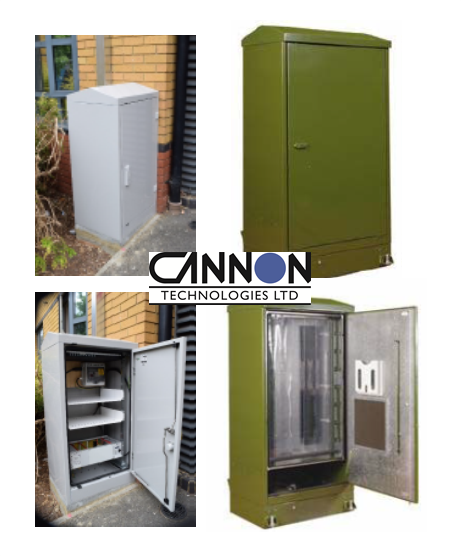 These Enclosures protect; passive, electrical and electronic equipment in outdoor applications. Enclosure Protection for the transportation, security & surveillance, broadband, broadcast & communication market sectors - a safe & secure environment for all equipment requirements. 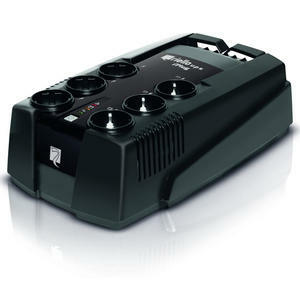 See the brochure here: http://ow.ly/VKZl30o9Bog Call 01252 379 379 or email sales@cmsplc.com to explore the range! This entry was posted in Uncategorized on March 27, 2019 by Eloise Speight. This entry was posted in Uncategorized on March 22, 2019 by Eloise Speight. Tired of overly complicated and overly expensive labelling solutions? 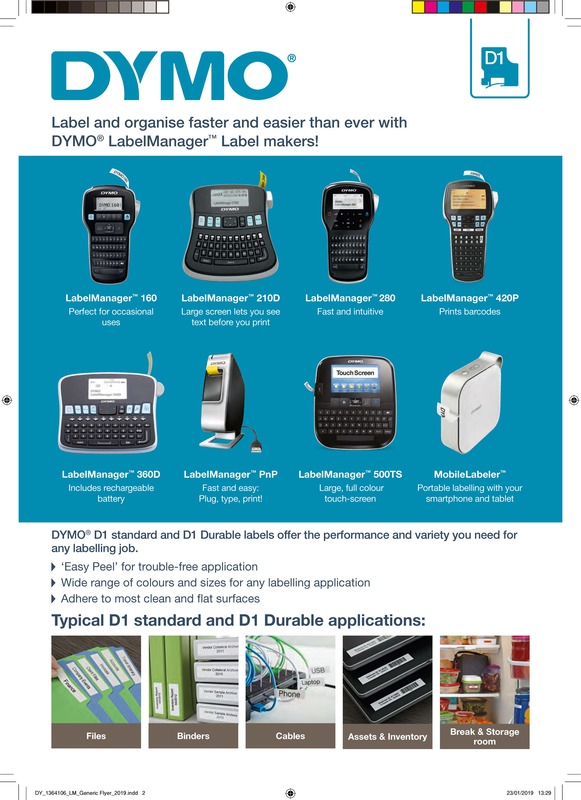 Then DYMO's LabelManager range may be for you... straightforward and very cost effective. We can all agree that there is a time and place for highly engineered label machines but most of the time, when you need a label - you don't need all the bells and whistles. The entry level machine in the range - the 160 - comes in at around £30.05 and tapes start at £17.90 which makes getting started so much easier. 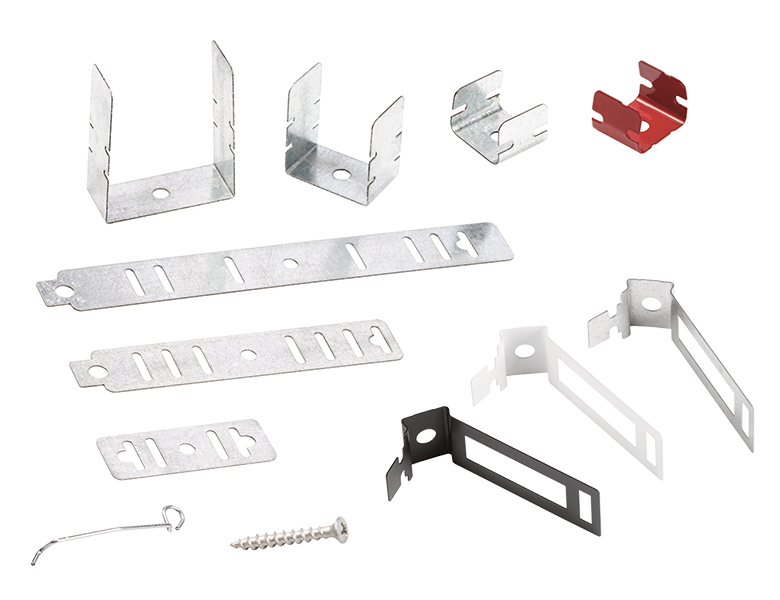 Only a small selection of the range is available on the website, so if you like the look of something you can't find - please email sales@cmsplc.com and we can quote in/ order it in for you. Find our existing range here. This entry was posted in Uncategorized on February 19, 2019 by Eloise Speight. CMS Plc have partnered with Allied Telesis to bring you a range of reliable and intelligently engineered switches and media converters with UK stock holding for next-day or 2-day delivery. This entry was posted in Uncategorized on February 12, 2019 by Eloise Speight. This entry was posted in Uncategorized on January 23, 2019 by Eloise Speight. Assynia is CMS Plc's own branded solution for high performance, low cost, structured cabling solutions. Assynia is designed for the professional installer and has been continuously developed over the last 10 years. The Assynia solution is CPR complaint. The Assynia solution contains a range of copper and fibre cable, keystone jacks, faceplates, adaptors, wallboxes, PDUs, and patch cords and everything in between! Assynia certified installers can get access to a range of benefit such as free training, free technical support, 25 year warranties, preferential pricing and CPR compliance documentation. To become an Assynia certified installer email sales@cmsplc.com asking to join the program, attend a free one-day training course (£50 deposit towards your next Assynia order) and pick up your certificate! This entry was posted in Uncategorized on January 16, 2019 by Eloise Speight. This entry was posted in Uncategorized on November 19, 2018 by Eloise Speight. Are you a die hard Austin Hughes fan? Or are you just interested in the rack solutions arena? Either way, you'll enjoy having a virtual "flick" through this latest edition of their Rack Mount Solutions brochure. "The new Austin Hughes Brochure is now available to download. 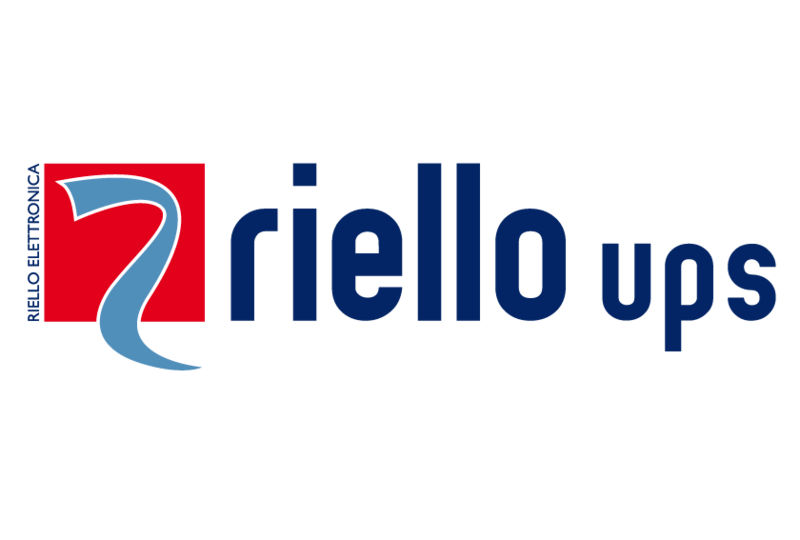 Providing an overview of the full range of rack mount solutions available including power distribution and power monitoring solutions that help manage data centre power capacity, reduce downtime and energy costs and improve energy efficiency." This entry was posted in Uncategorized on October 24, 2018 by Eloise Speight. Buy any one of the products listed below from us, and you are eligible to receive a FREE reward! 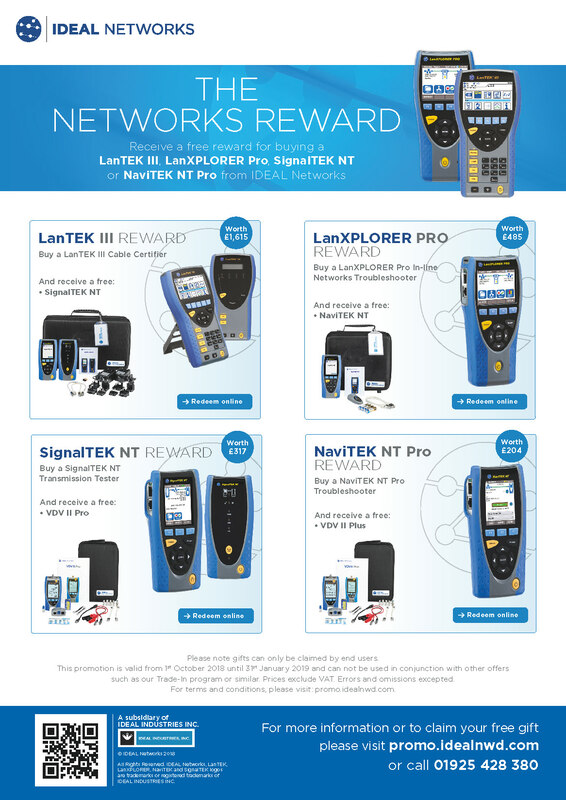 Simply buy a LanTEK III, LanXplorer Pro, SignalTEK NT or a NaviTEK NT Pro and send proof of purchase to the following link: http://promo.idealnwd.com/form.php and Ideal Networks will post your FREE reward directly to you. *Offer Valid from 18th October 2018 to 31st January 2019. This entry was posted in Uncategorized on October 18, 2018 by Eloise Speight.